You can find on this page the map of Paris subway. Paris subway, tube or underground is a transit system serving the city of Paris (France) with the urban, suburban & commuter train, the tram, the bus or the Noctilien night bus. The subway network has 16 lines and 302 stations forming a rail network of 136 miles (220 km). 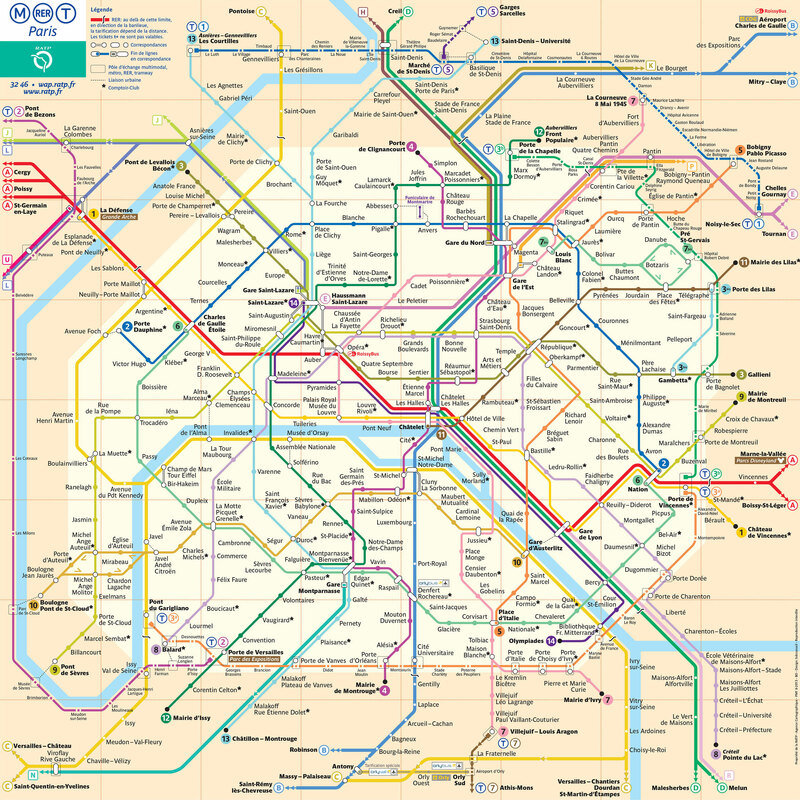 Paris subways which transport 1.5 billion passengers per year, exist since 1900 and are operated by the RATP (Régie autonome des transports parisiens).